With Torah in our hearts and the sound of the shofar in our ears, we celebrate this season of renewal. 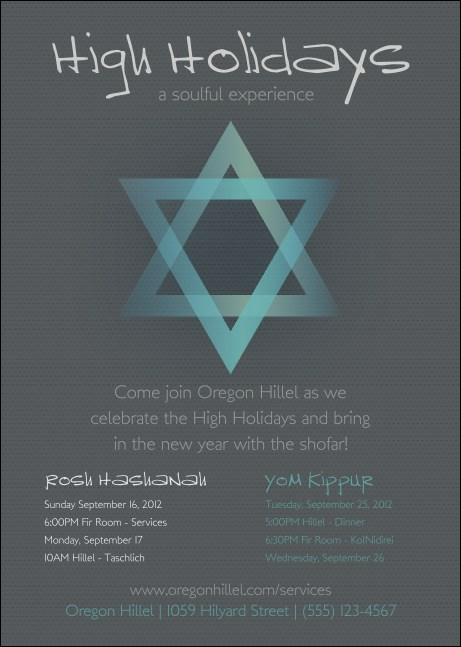 Call the congregation to worship, or create custom invitations to your family or community gatherings with this High Holidays Postcard in gray with the image of a Magen David in pale blue and seventeen lines of text. Let TicketPrinting.com help you share all your celebrations.